Many of you might have heard about Baikal-T1 - Russian implementation of dual core Imagination Technologies MIPS P5600 32 r5 with on-board 10Gb Ethernet. 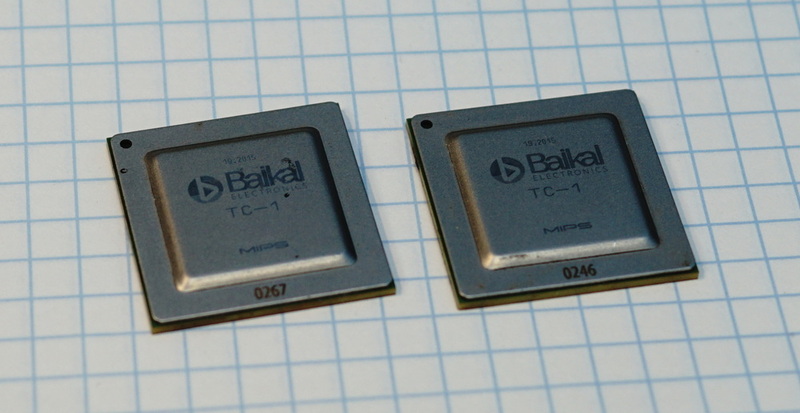 Baikal was the first to implement P5600 core in silicon. 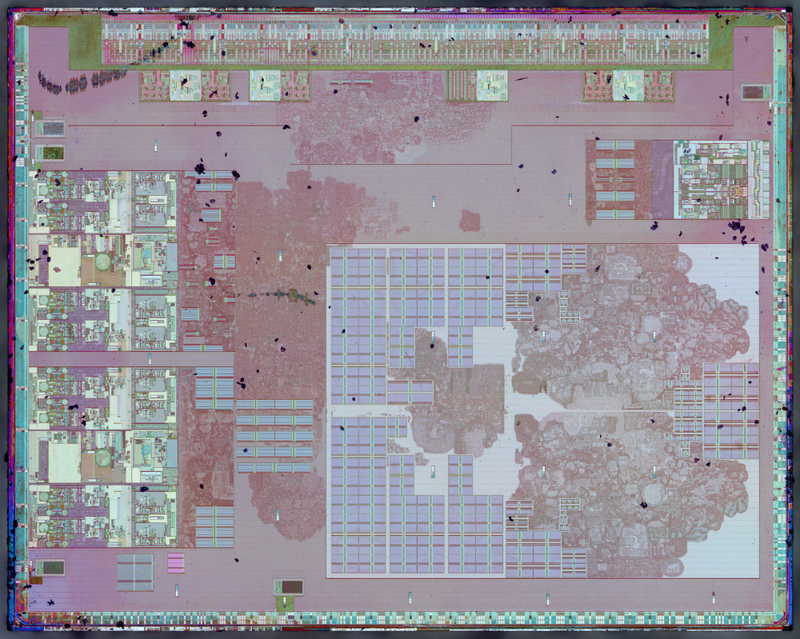 After etching metal layers - we can see auto-synthesized sea of standard cells (Multiclet CPU had similar standard cell "waves" despite significantly larger 180nm technology), lots of generated memory/register file instances (typically supplied by foundry), few supposedly monitoring blocks scattered across the area (tiny vertical blue-white rectangles). 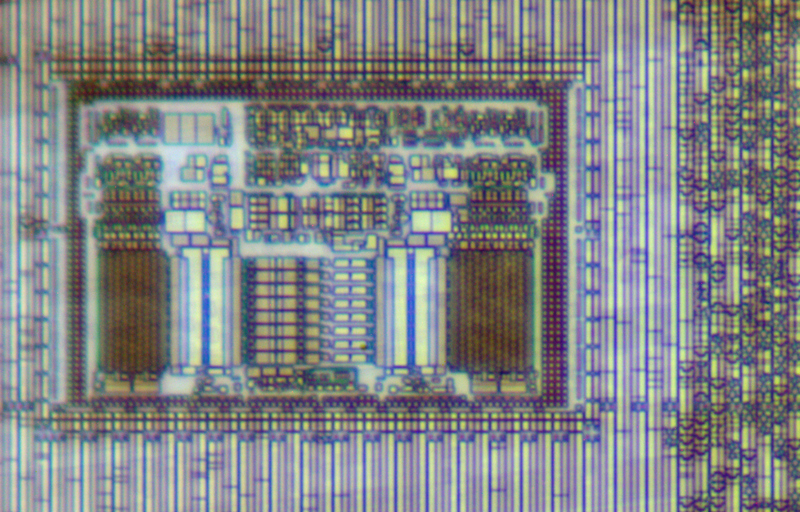 Significant part (~25%) of die area is not used by transistors, and just filled with dummy cells. 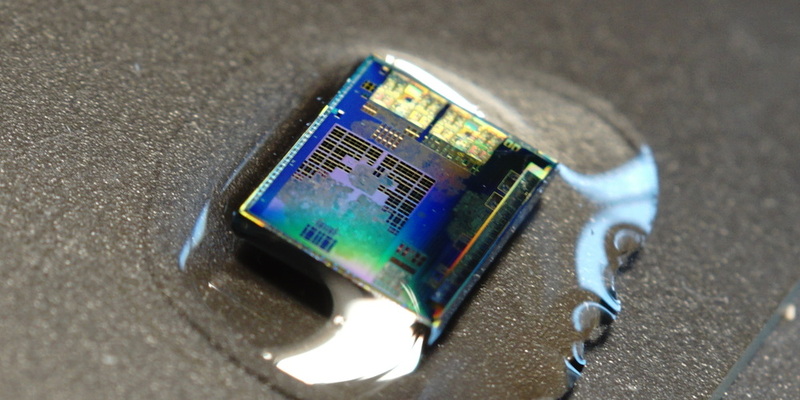 In my view Baikal-T1 is a large step forward for Russian civilian microelectronics. 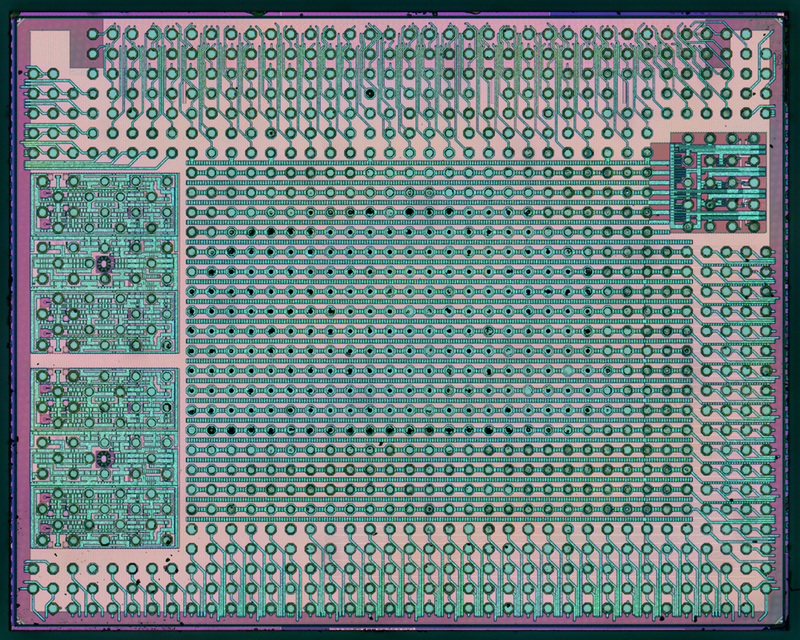 It uses modern commercial core, it is designed using industry-standard flow and manufactured using high-volume commercial technologies. Finally it uses open source compiler and OS - which makes it much easier to support and work with comparing to infamous Elbrus. 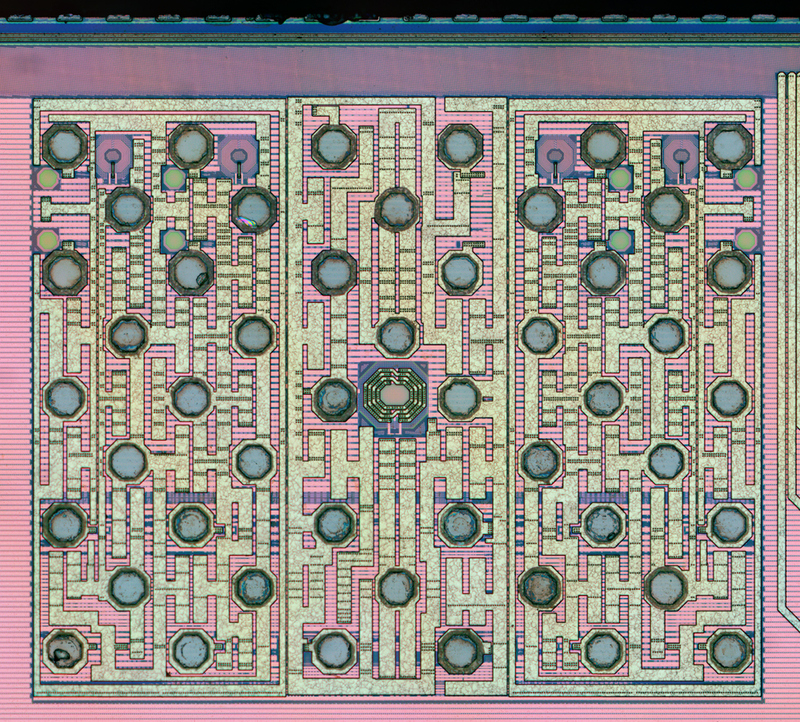 Using non-standard solutions in situations where they could have been avoided was the curse of Russian microelectronics, until Baikal. That's it for now. If you like articles like this one - you can now support us via Patreon or other means.